"Marazul" is a strong, seaworthy design that has many features only found on larger yachts. 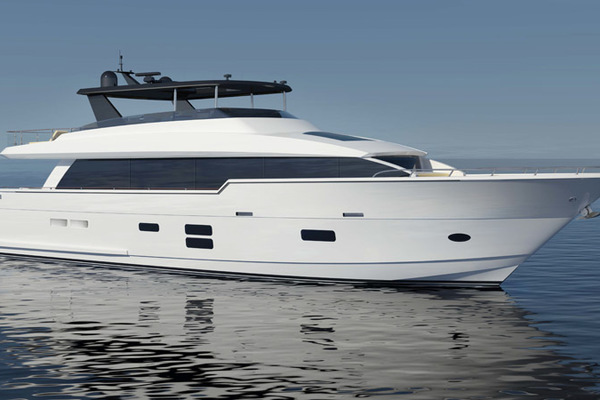 A raised pilothouse design, she features a large beam (24") with walkaound decks, huge flybridge for entertaining with a 6,000# crane, fully functional cockpit for fishing and watersports (note livewell and aft control stations), plus an enclosed aft deck area and a sun-loving foredeck area. Her accommodations include an on-deck master stateroom with 4 staterooms below plus crew. She is a blue-water, transoceanic design rarely found in yachts this size. She is ready to cruise anywhere with a fresh paintjob and interior upgrade as well as a complete mechanical, electrical and equipment refit by a knowledgeable owner; making her a bargain by yachting standards. Seller will consider trades and owner financing.. 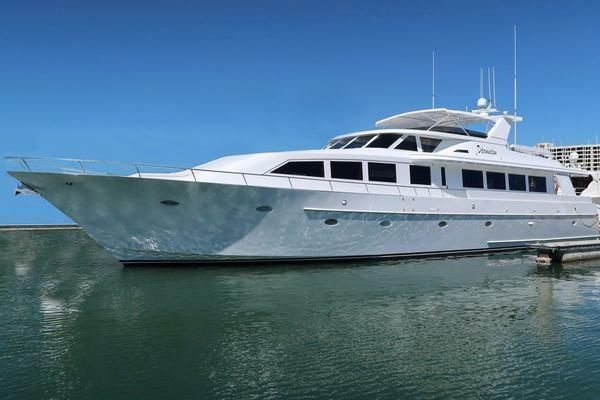 Huge price reduction...owner has his next boat in sight and is motivated! United Yacht Sales New Jersey would love to guide you through a personal showing of this 98' Poole Boat Company Raised Pilothouse With Cockpit 1986. This yacht for sale is located in Acapulco Mexico and priced at $1,900,000. For a showing please contact us by filling out the form on this page and we will get back to you shortly! Sleeps 8 owners and guests in four double staterooms, each with private baths. A convertible office accommodates two more guests. 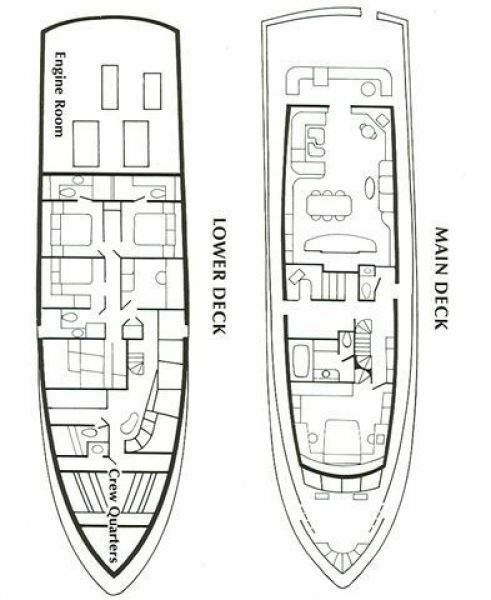 Two crew staterooms accommodate 6.The Owner’s Stateroom is forward on the main deck with a king-size centerline bend. This suite features built-in, blue- lacquered furnishings including two vanities , a settee to port, large cedar-lined, his/hers, mirrored closets (digital safe), overhead deck hatches and viewing windows with privacy curtains. 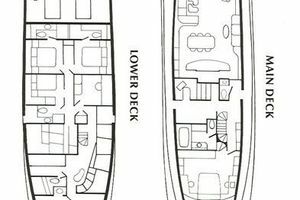 The owner’s private bath has his/hers vanities and a sunken Jacuzzi tub.Guest quarters are accessed via a stairwell by the galley. To port and forward is a convertible office w/pullout sofa. Opposite is a guest stateroom w/a pullout queen lower and a twin Pullman berth. These two rooms share a head w/stall shower. Aft to starboard is an ensuite stateroom that allow twin berths to convert to a king centerline. To port is an ensuite, centerline queen stateroom. A linen closet is in the hallway.Crew quarters are forward with crew lounge, private Captain’s cabin w/private head and four bunks forward with head and stall shower.Interior furnishings feature maple burl paneling, lacquered wood surfaces and muted, earth-tone soft goods (all renewed 2008). Baths and heads have new cream-colored marble flooring and countertops (all renewed 2008). Carpeting is beige and renewed (except salon). Overhead panels throughoutHave been renewed (except salon).The salon windows have been replaced with new tempered glass windows. The pilothouse windows have been replaced as well (both 2008). New teak and holly flooring and steps, upholstery and headliners are evident in the pilothouse.